Wow, we've been busy at Romio – we're growing rapidly (there's close to 40 of us now! ), and we're feverishly connecting and preparing our Experts and Service Providers for our soft app launch later this fall. But sometimes, you just gotta stop and smell the flowers. And since we're all about building and enriching local communities, we decided to take an opportunity to do just that... literally. This fall, Romio became a proud participant of the Morningside Park Conservancy's First Annual Daffodil Planting Event. Members of our team put down their coding software and picked up some hand shovels, and – along with Councilman Bill Perkins from Community Board #9 and members from the Friends of Morningside Park – planted 3,500 daffodil, allium and narcissus bulbs and flowers near the 114th Street entrance to the park (just north of the waterfall). 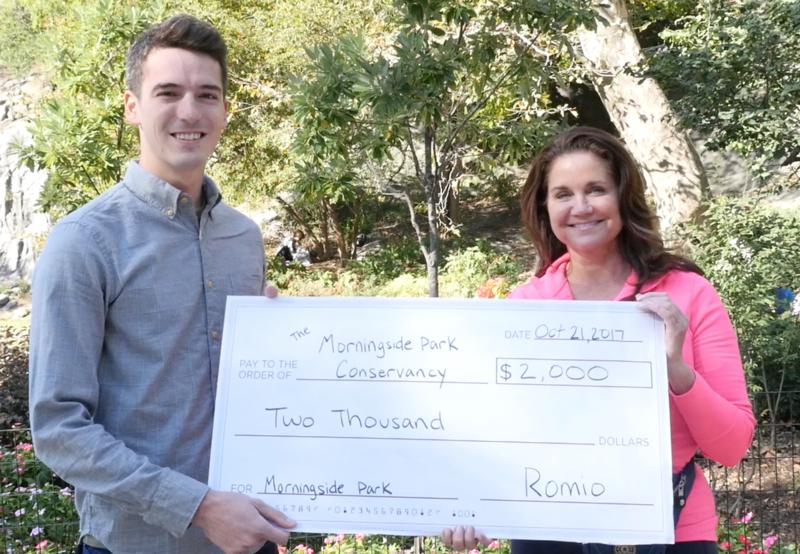 And since Romio is also all about getting money for doing what you love, we decided to donate some cash – $2,000 – to the Morningside Park Conservancy to assist in their continued mission to protect, preserve and enhance Harlem's premiere park. We're happy to make one more community a little brighter. And who knows? Maybe we gave a few gardening hobbyists uptown an idea on how they could turn their skills into a little extra include – on Romio. Business Development Director, Fillip Hord, presents Morningside Park Conservancy Ambassador, Julia Boland, a $2,000 donation. Julia's also a Romio Real Estate Expert. Check out the platform later this fall for Julia's recommended services in NYC!